Every year, hundreds of pets go missing. It’s a tragedy that happens all too often, but there is a simple, safe, and effective way to ensure your pet’s safety and retrieval should they ever become lost. ​​​​​​​Microchipping is a standard procedure that implants a tiny chip underneath your pet’s skin. It is a relatively fast procedure, and is completely safe. 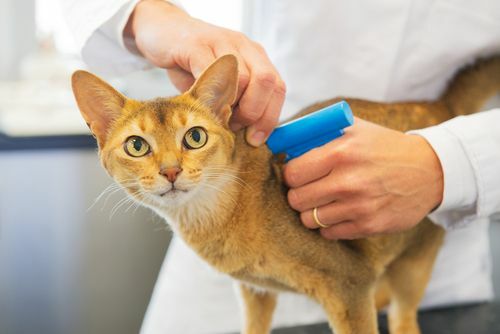 The microchip is registered with you and your pet’s vital information, and can be scanned by any veterinarian or animal shelter so that they can return your pet directly to you.